Our VR City were delighted to work with San Francisco based Augmented Reality specialists Trigger Global to help realise their app for Royal Caribbean’s Celebrity Edge Cruise Ship. The app, called Celebrity Edge Access Tour is designed to give passengers on the ship an unrivalled digital tour of the Celebrity Edge, incorporating 3D augmented reality technology, spatial binaural sound and 360 video. VR City provided the 360 video. — Richard Fain - Chairman & CEO, Royal Caribbean Cruises Ltd.
Our producer Ed enjoying the recce in Saint Nazaire. 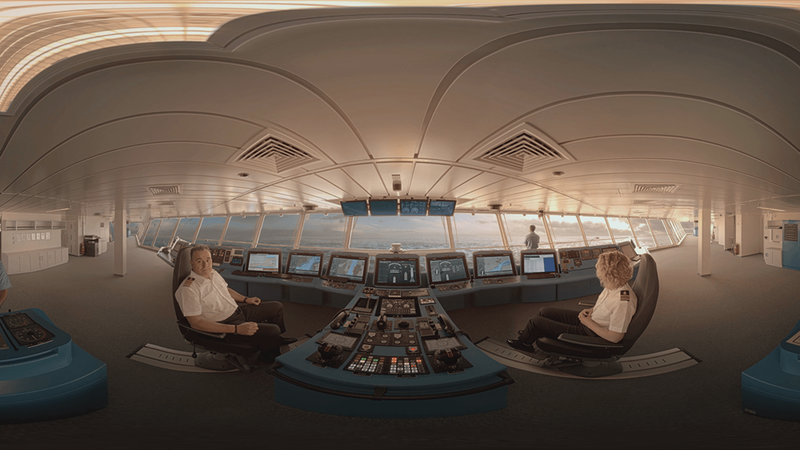 VR City were tasked with bringing four of the usually off limits areas of the ship to life in 360 video: the Bridge, the Galley, the Control room and the Celebrity Edge Launches. Filming in the shipyard at Saint Nazaire, North West France, each scene was populated by the actual staff aboard the ship, from the captain and his team in the bridge to the chefs in the galley. We carefully choreographed each scene, matching the action to a rich and engaging narrative voice over from Richard Fain, Chairman & CEO of Royal Caribbean Cruises Ltd. and Lisa Lutoff-Perlo, Celebrity President & CEO. One of the challenges of filming the ship before its launch was that it was moored in a shipyard in the North West of France. For the two shots where we had windows, the Bridge and the Celebrity Edge Launch the windows exposed a view of cranes, building are workmen. In order to get round this, we had to create computer generated sea and sky, allowing us to present a ship which was already enjoying life on the high seas. The Celebrity Edge Launch with Richard Fain & Lisa Lutoff-Perlo, with CGI sea and sky. The app was launched in November to coincide with Celebrity Edge’s maiden voyage and offers a comprehensive tour guide of the ship. 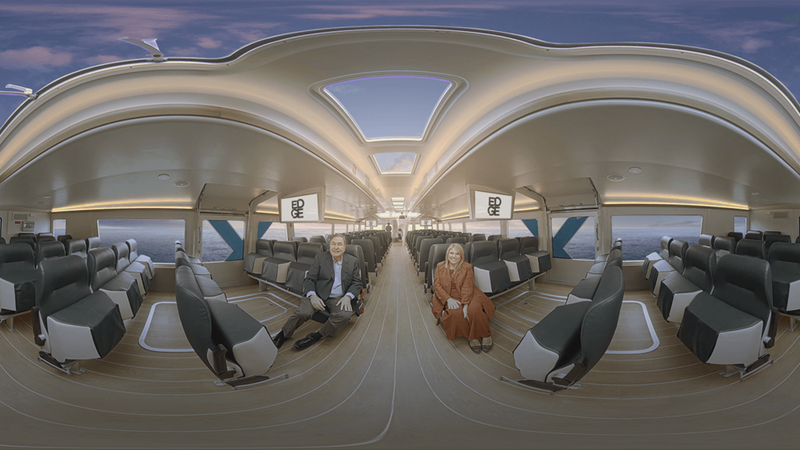 From an 3D augmented reality version of Richard welcoming you on board, to spatial audio tours of The Grand Plaza, Theatre, Eden and the Rooftop Garden, our 360 videos complete the experience. You can’t see our videos online but you can download the app from the Play Store and the App Store, where you will be able to enjoy the full experience.